Always exciting things happening at The Table Bay Hotel. My go-to place for business meetings – there’s free parking, fabulous coffee and if it is in the afternoon, a sumptuous layout at High Tea. While the weather is still warm enough to have sundowners outside, the emphasis at The Table Bay Hotel is on creating warm and authentic South African experiences is woven into everything; from locally inspired dishes to innovative cocktails. 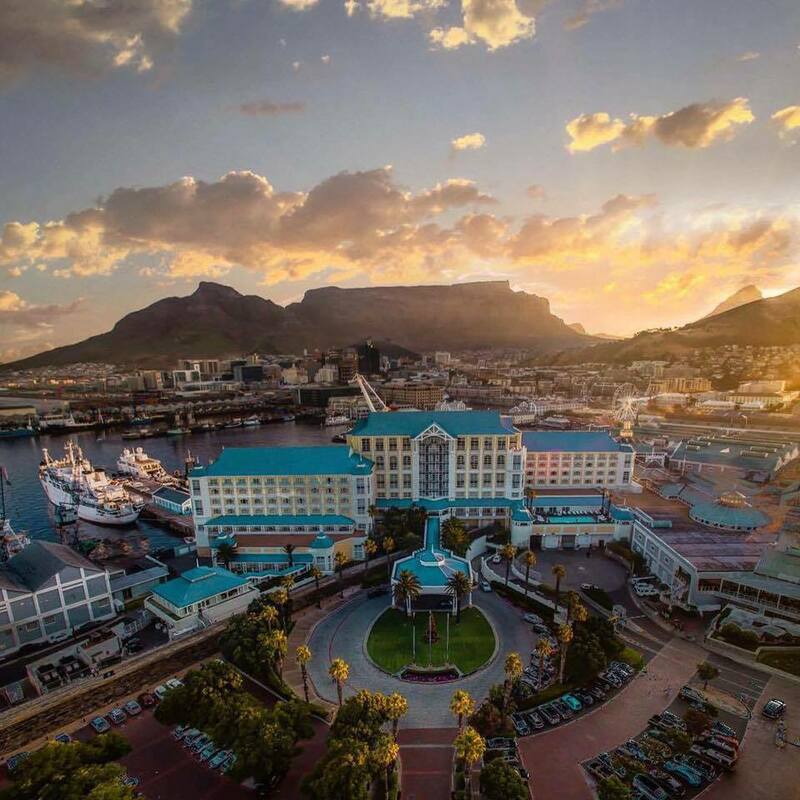 Guests can look over the sweeping views of the V&A Waterfront, Cape Town’s Busy working harbour and the majesty of Table Mountain while sipping on specialist cocktails, carefully curated to complement the season. A speciality at The Union Bar is the Elderflower Martini; a refreshing mix of Tanqueray Gin; Elderflower syrup; freshly squeezed lime, mint and fresh pineapple juice. The cocktail is shaken cold, fine strained and served in a chilled Martini glass. “This is a lovely refreshing, sipping cocktail that tends to be very popular amongst the ladies. It’s summery and floral but balanced with amazing fresh zestiness and botanicals from the Gin,” says Heinrich La Meyer, Assistant Food and Beverage Manager. The hotel’s barmen are encouraged to explore with fresh ingredients and liquor combinations to bring exciting twists to age old favourites and offer guests the delight of something new. The Table Bay’s Union Bar and Conservatory are inviting spaces to meet, connect and relax. This comfortable and airy space spans 356 square metres, with quiet corners to retreat to or tables at which to socialize. 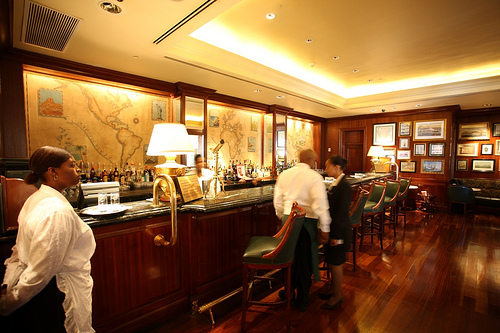 Guests can savour a variety of drinks and cocktails from the bar and enjoy a selection of light meals from the restaurant – the renowned Camissa Brasserie. 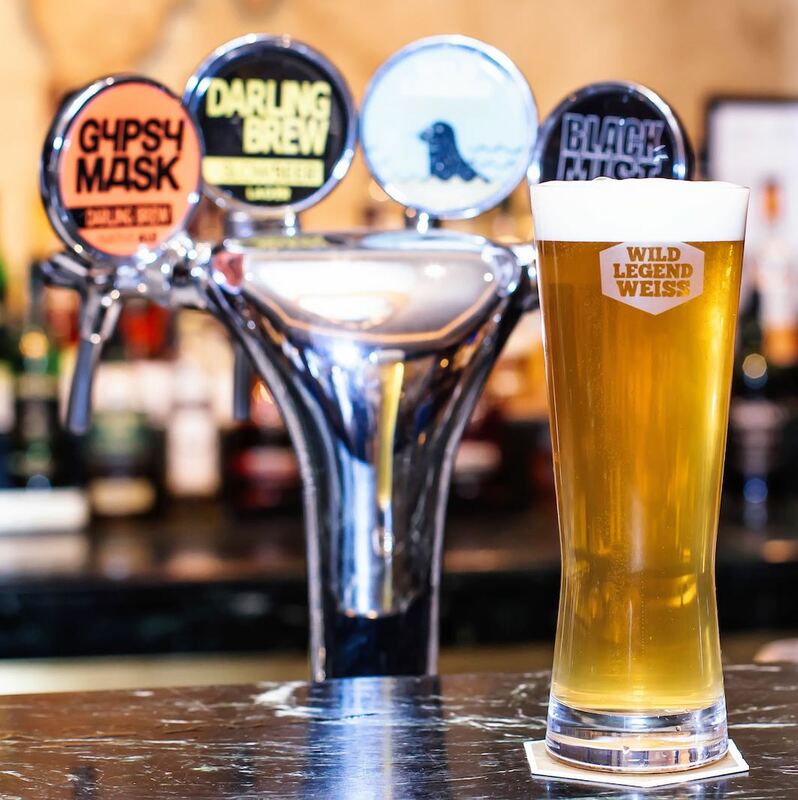 The Table Bay at the Victoria & Alfred Waterfront is home to a vibrant cast of characters, who besides being passionate about hospitality, their work and their guests, also pursue some interesting passions and hobbies in their down time. 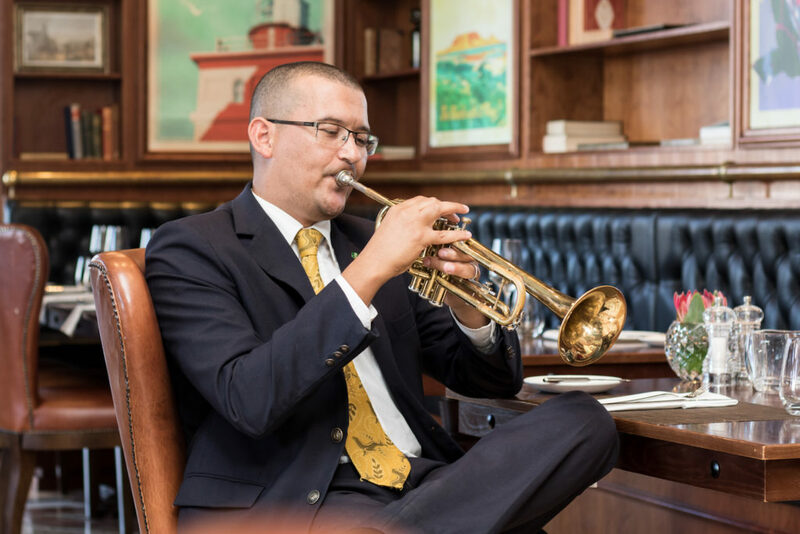 The hotel’s Assistant Food and Beverage Manager, Heinrich La Meyer is a keen musician who is adept at playing a range of brass instruments including the trumpet, cornet, French horn, trombone and the tuba. He has honed and expended his skills since the tender age of five when he was introduced to the recorder. He attended music classes at his church and was enthralled with the array of instruments. While his sister played the clarinet, he enjoyed exploring different instruments and it was only on his 15th birthday that it became clear which one was his favorite. “My mom asked me what instrument I would really like to play and for my 15th birthday, unlike most kids, I was surprised with a trumpet. I played in the church orchestra and I loved it, practicing daily and even taking my mouthpiece to school to do mouthpiece exercises in order to have a better diction and tone with the instrument,” he recalls. Since then, he has continued to expand the range of instruments he is able to play, with the latest being the French horn. Although he has been proficient at reading music since he was 15 years old, La Meyer doesn’t write his own just yet. “I probably could write my own music, but it would take some time and practice,” he says. La Meyer enjoys playing classical music but keenly experiments with other genres when he is at home. He finds an outlet for musical expression at his church where he practices every Thursday and plays for the congregation on Sundays. The church also hosts concerts from time to time when he has the opportunity to perform. However, taking his talent to the stage is not his desire. Instead, he finds great satisfaction in teaching others at his church how to play music. “Music adds spirituality to my life and helps brings closeness to God. I believe it is a gift that was given to me and I use it to bring honour to his name. Music is also tremendously calming and being able to lose myself in playing one of my instruments is a form of meditation for me,” says La Meyer. La Meyer has been part of The Table Bay family for three and a half years. He lists interacting with the hotel’s guests as one of the most rewarding and inspiring aspects of working there. 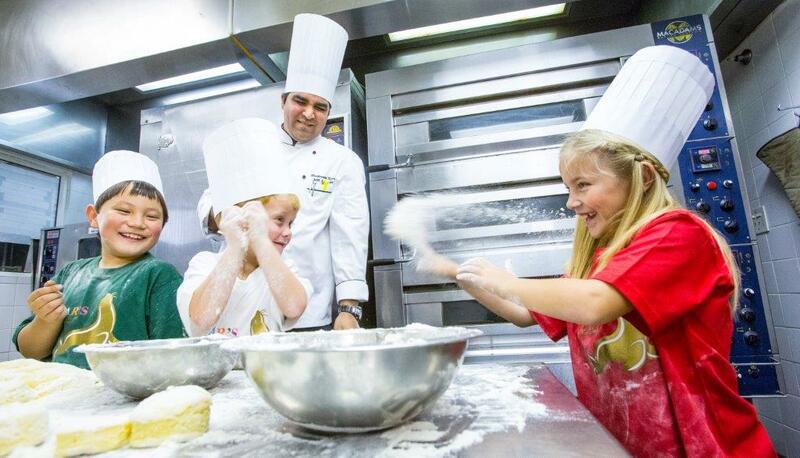 Children will prepare something different at each two-hour workshop and will get to take home what they have prepared. From chocolate tempering methods, different dough techniques and cake icing and decorating to hot dish preparation and pastries; young chefs can look forward to a journey of discovery with The Table Bay’s culinary experts. 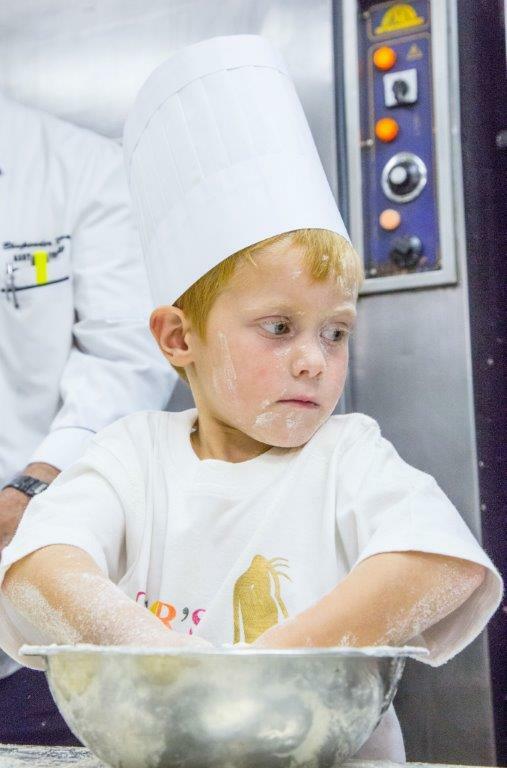 Mini Chefs takes place at The Table Bay from 13h00 to 15h00 on scheduled Saturdays. The cost to participate is R355 per child. This includes the two hour workshop, a recipe card and the dish prepared. Booking is essential as numbers are limited to 15 young cooks per session.